Has anyone added a heater and if so, what did you add and where? In where the pump is? I just went to PetSmart on black Friday for dog food - really - but couldn't pass this up for the price. 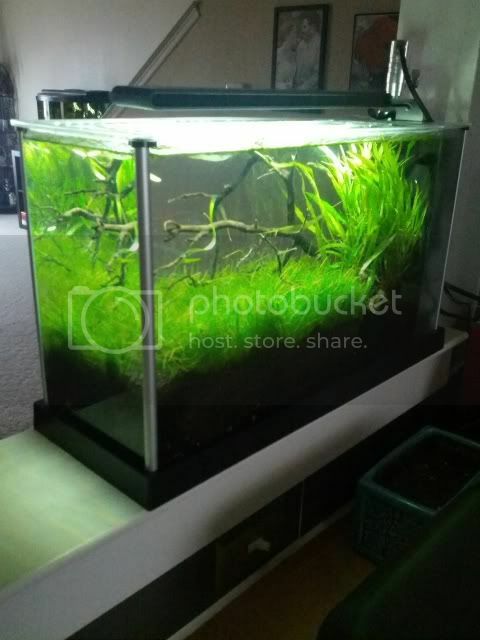 I'm a little overstocked with hasbrosus in another tank, so will be looking to move a few to this one and add something else like micro rasboras or maybe a couple of sparkling gouramis if I can find them. the pump goes where the filter media is. on one side of the filter compartment is your sponge etc, on the other side you install your pump all the way at the bottom and connect the hose and nozzle to the top. i put a jebo 25w heater in the same compartment as the pump, it fitted well, kept everything hidden. let us know if you need more help. How does the moonlight work on this tank? Does it have a separate plug? Same plug different switch position. I love the clean, natural look of this scape! I like the light this came with. Its plenty for my needs and wants. Here is mine in various states. Love the overflow filter box, easy to hide some of the mechanical stuff. Saxtonhill, Maclyri and Maclyri like this. Petco sells a store brand 50w heater that fits perfectly in the pump side of filter. Here's mine. Set it up last Sunday. Still need to throw some more plants in the one side. Running an Aqueon heater and CO2 diffused in the overflow. That's nice lush green tank GitMoe. 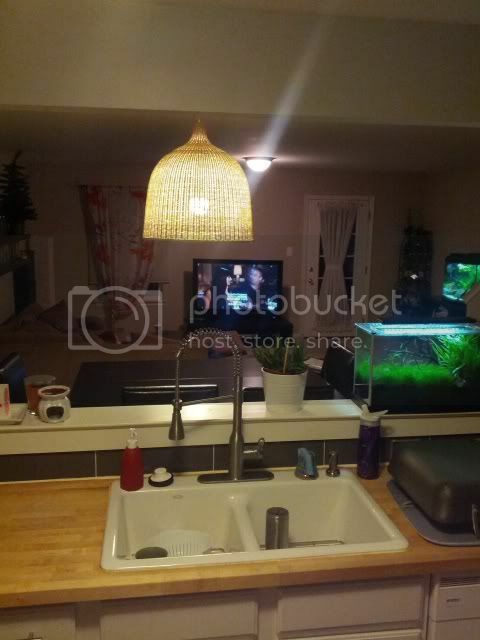 Mine Spec is in the same location, sure makes it easy for water changes. I had a little aqueon heater too but it failed within a month. I no longer use a heater.